How Does Your Home A/C Cools the Air | Quinnair Heating & Air Conditioning Inc.
Home / Blog / How Does Your Home A/C Cool the Air? The main goal of an air conditioning device is to remove hot air from a particular area. The machine achieves this by converting a liquid to a gas. This process known as phase conversion absorbs the heat in the air with the help of different mechanical pieces and a special chemical compound (the refrigerant). 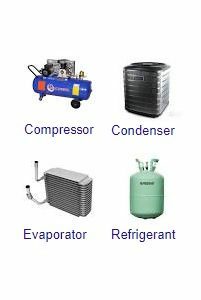 The A/C forces the refrigerant to evaporate and condense over and over again in a closed system of coils. Without the refrigerant, your A/C will not be able to do its job. This compound has unique properties enabling it to change at relatively low temperatures. It is designed to go from the gas vapor state to liquid state as it gathers indoor heat and eliminates that hot air outside your home. If you need to recharge your A/C with refrigerant, make sure it doesn’t contain chlorine atoms that have the potential to damage the ozone. Use coolants marked as ‘’green’’. This important part pumps refrigerant through all the parts in the air conditioning unit. It works much like the ‘‘heart’’ of your body. Here is where the condenser coils are found. With the help of thin metal fins, they cool down the high-pressure hot refrigerant vapor. Then it moves into the expansion valve. This is the component that forces the refrigerant gas to expand. So, the hot liquid refrigerant passes through a tiny opening at high pressure in the valve on one side, and then it is transformed into a cool, low-pressure mist on the other side. Here is where the refrigerant goes through the evaporation process. This means that it is transformed from a cold liquid to a warm. The refrigerant vapor then goes back to the compressor and the exterior condensing unit, and the cooling cycles go on. 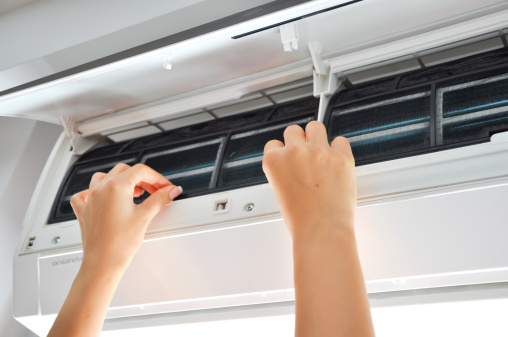 There are many different types of air-conditioning systems that can be used in your Coloradan home, including ductless air conditioners, window units, portable air conditioners, and central air-conditioning systems. Need Help Deciding Which A/C Is Best for You? Reach out to Quinnair in Colorado. We carry the best air conditioning brands in the market. Call us at 303-980-3788 to learn more about the different models we offer.